The Sony Pictures hacking saga was a corporate nightmare, leaking emails about the studio's future movie productions as well as early Xperia Z4 designs. Although new concept renders of the upcoming flagship suggest that a complete design overhaul is en route. Sony Pictures made headlines at the end of last year when it was the victim of a calculated cyber-attack, with a North Korean hacktivist group thought to be behind it. A lot of embarrassing stuff leaked out, including hundreds of emails revealing future productions like a Super Mario movie, the fact that Sony saved important passwords in a folder titled 'Password', and not to mention images of the Sony Xperia Z4. Well, that's what we thought it was anyway, however recently another source called @ViziLeaks claimed this handset wasn't the Xperia Z4 at all, but a different phone called the Xperia Z3 Neo. Now a fresh batch of Xperia Z4 renders have been unearthed in Sony's emails, after the hacked files were republished on WikiLeaks the other day. Featuring a completely redesigned look with a metal unibody and references to a 2.5D glass display panel, this is thought to be the real Xperia Z4. We really hope so anyway. This is unlike anything we've seen before from Sony, although this could be a very early mock-up of the Xperia Z4 so a lot could change before it's released. And when is that? Well, one leaked email says the release date is set for April/May/June 2015, around the same time the Sony Xperia Z4 tablet will arrive. But considering we've not yet seen anything official from Sony, the upcoming flagship could debut later in September. The Samsung Galaxy S6 and HTC One M9 rival is tipped to pack a 5.2-inch, 2560 x 1440 pixel QHD display, Qualcomm's latest 64-bit Snapdragon 810 processor with 3GB of RAM and an improved 20-megapixel primary camera. 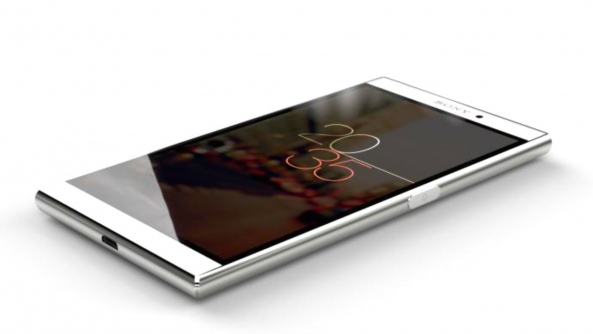 When the Xperia Z4 does arrive, rumours suggest it will launch as part of a trio; including a smaller version as well as a larger phablet version.